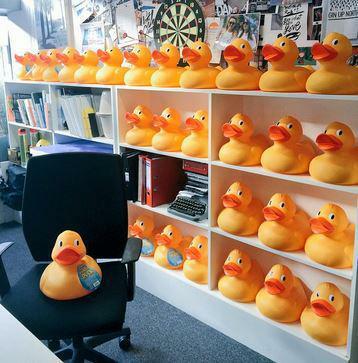 Once you pay for your ducks, you will receive a confirmation with a reference number your duck or ducks. 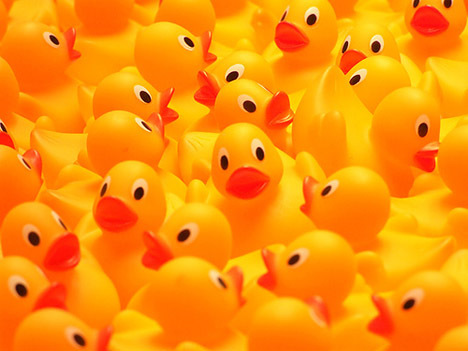 Your ducks will be automatically placed in the River Irwell at the start of the race. When you register your ducks, you will be asked for an email address or mobile contact number so that should you win one of the many prizes, we can contact you as soon as possible at the end of the race. Unfortunately due to Health & Safety requirements, it is not possible to return ducks after the race. Ducks are collected from the River by our rescue boats and are recycled. Corporate Ducks are larger 32 cm ducks and are normally sold to businesses who wish to compete in the fun corporate race which precedes the main Race. Companies normally dress their ducks with corporate branding for the race and there is much competition amongst the entrants. Once you have purchased your Corporate Duck you will be advised how to collect it and where & when it should be returned. Corporate Ducks are voted for in a "Best Dressed Duck" competition which appears on Facebook.